Working with Kandice was wonderful. Kandice held my hand throughout the process and when I got antsy or nervous she reassured me that everything would be alright. She is very knowledgeable and you wouldn't think she has only been doing this for 7 years. Kandice answered my emails, calls and all of the repetitive questions that I had. I came across a house that I fell in love with and she jumped on it immediately. I will and have shared my experience working with Kandice. She is so patient with you and always has a smile. Thanks Kandice for walking this journey with me. 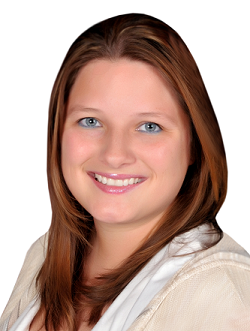 Danita B.
I highly recommend Kandice if you're seeking a professional and caring Realtor. She was always prompt in returning emails and text. Very patient and knowledgeable and always had time for me if I had questions or concerns about the process. Was a great experience. Tks Kandice Lisa W.
My husband and I used Kandice Reed with Home Sweet Home to find us our first home. Our experience was great. She assisted with EVERYTHING from showings to being present at our inspections when we couldn't be. We closed months ago and she is still so helpful anytime we have questions. We fully intend to use her when it’s time for our next purchase. Tatiana G.